Banya “Khamom” (Public bathhouse entrance) in Tashkent. The project was a collaboration with a russian architect Andrey Stanislavovich Kosinski, erected around the year 1979. 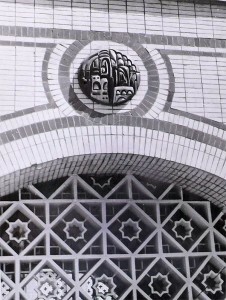 The relief above the entrance is 90cm in diameter. The monochrome photograph actually depicts a color relief, with red and gold. 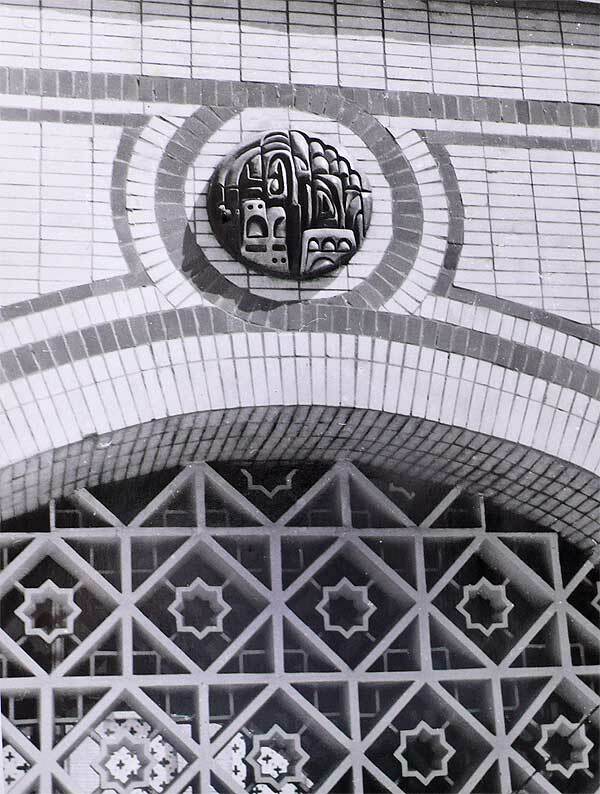 The relief actually represents the streets of Tashkent, with the buildings originally designed by Kosinski. Inside the actual building, the facade of which is depicted here, there were a dozen of plates on the walls. The building has been demolished during the current “reconstruction” of the capital of Uzbekistan, so the final fate of the relief is unknown. This building was the only one, besides the Bogdan Khmelnitsky prospect of buildings designed by Andrei Kosinksi. While he had multiple, very beautiful projects designed for the capital, only these two where approved.